This incredible Fox Pines ranch is finally available! 72 undeveloped acres to the North, a large treed lot to the West, and an unbuildable HOA-owned lot to the South, this is the most private and secluded lot in all of Fox Pines. 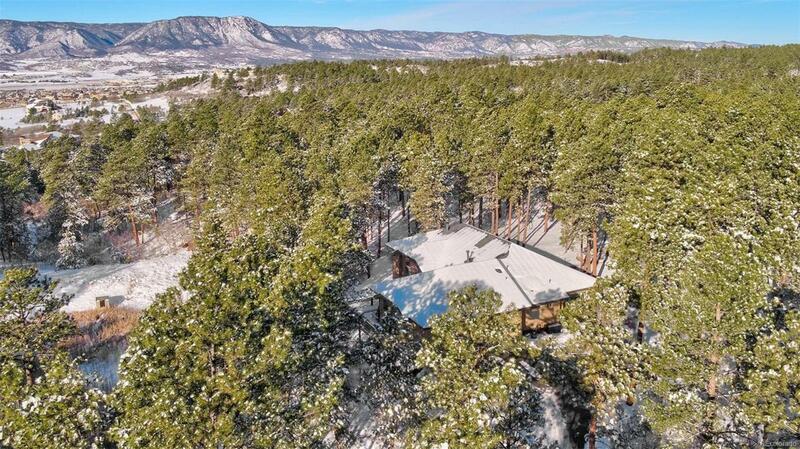 Enjoy the great outdoors right at home with over 1,100 square feet of wrap-around deck, allowing you to take in gorgeous Colorado sunsets that dip behind the Rocky Mountains, and beautiful wildlife that roams around the low maintenance near-acre lot. Slate and hardwood floors welcome you into the main level, where dramatic arches give way to the great room. Here you'll find a two-way stone fireplace, walk-out access to the deck, and large, tinted picture windows. The kitchen features an oversized slab granite center island with a gas cooktop, and GE Profile stainless steel appliances. See ManchesterPropertiesLLC.com/1068-Longspur for more! Offered by Manchester Properties, Llc.